Alex is an ordinary girl. SIKE! She's the daughter of the devil, known as Hades, Satan, or whatever. But to her he's known as dad. She's gonna have to rule the underworld someday. And that day might come sooner now that she's turning seventeen. "Good morning princess".......    "Mmm good morning daddy"
My name is Ariel Davis. I have been bullied from the same people since I freshman. I was at my sister house all summer. She made me do so much stuff for my last school year. We started with exercices and a makeover. What happens next? 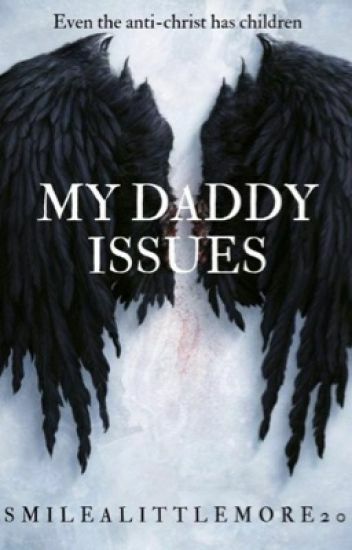 Disclaimer: This is the second story of My daddy Issues. Please read that one first. Also, this is a duology. Meet Katherine, or better known as Nightmare, has been in a insane asylum for 7years already. She has killed countless Humans, vampire even her own kind, werewolves. They tried to kill her,but failed. She has beta and alpha blood, the strongest and rarest blood. She can't escape.because 1) the whole place is made out of pure silver, her cell is 15 inches deep, all silver.And 2) she in a semi-sleep stage, kinda like being drugged. Until she wakes up out of her semi-sleep stag, sensing her mate. Now, meet Cody Kanji, strongest Alpha in the southern hemisphere. His pack, Bloodcreek, has been striving for years, even without an Luna. He never really thought much about mates and if he found his mate, until he caught her. Warning: feels might be spilled. You have been warned. This is an DDGL story hope you love it. Amos Ellery is a werewolf. No Alpha title, no Gamma title, nothing too distinctive to be known for...that is, except for finding his mate locked up in a private room in a poverty-ridden orphanage. The girl is deemed unlovable and dangerous by the workers in the orphanage, but Amos wants to see for himself. Arraja Queen is an orphan. She's called crazy and has been locked in an orphanage, never expecting to be permanently adopted. At the age of 18 she'll be sent to an asylum if nobody wants her, which she expects. Until one day when an odd family comes in and takes her happily.